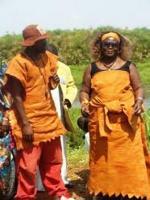 Who are the Batwa People in Uganda? The Batwa, or 'Twa people are one of the last groups of short-statured people also known as 'pygmy' people, and until Bwindi Rainforest was gazetted as a National Park they lived a hunter gather lifestyle in the forest. They are now some of the poorest people in the world with a high infant mortality rate and low life expectancy. The Batwa people have lived in the forests surrounding Africas Great Lakes for 4,000 years, long before migration of Bantu farmers into the region. Uganda has lost 80% of its forest since the 1960's and the Batwa people have suffered a drastic change from their traditional hunter-gatherer lifestyle. Since the 1960's they have been evicted from the rainforest and they were prevented from using its resources in 1991 when Bwindi became a National Park. 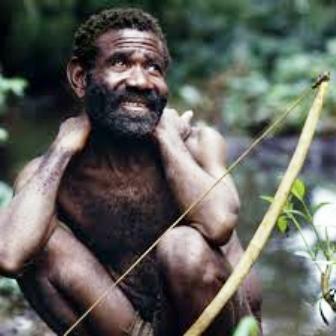 Many Batwa have suffered starvation and discrimination. They have a low life expectancy and high infant mortality. Many are landless and live as squatters on land around the forest. They can no longer practice their religion, as they can't access the forest locations with which their deities are associated. Bwindi Community Hospital provides outreach clinics for Batwa villages, giving access to healthcare and information. Friends of Bwindi support the hospital and have a dedicated fund for hospital projects. In 1904, approximately 153 years after the publication of Tysons work, Ota Benga, a Pygmy of the Congo Forests was captured and brought from the Belgian Congo by an “African explorer” Samuel Verner. In 1904, Ota Benga was exhibited at the St. Louis World Fair in the United States and later transferred to the Bronx Zoo in New York Zoological Park. According to different accounts, the exhibition of Ota Benga was immensely popular and extremely controversial. The black community in the United States was outraged while some churchmen feared that exhibition of Ota Benga could convince people to begin to believe in Darwin’s theory of evolution. Nevertheless, for the time Ota Benga was on exhibition, he was so popular to the extent that up to 40,000 visitors were recorded on his side of the stall every Sunday. According to the same accounts, although he was later to leave the Zoo, with time, Ota Benga grew homesick, hostile and despondent. He was later to commit suicide by shooting himself ending his life in 1916. The Anatomy of the Pygmy and the Ota Benga story have provided the lens within which the international community has often viewed the Batwa and other forest dwelling communities of Africa. It is this misrepresentation that has had devastating effects upon their populations. 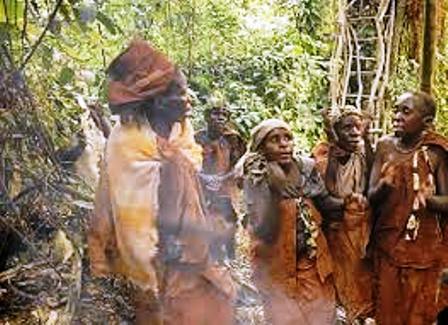 The general perception that the Pygmies in general and the Batwa in particular are barbaric, wild, uncivilized, untidy, ignorant, and above all else, sub-human seems to be at the foundation of their consistent exclusion from the mainstream of society and their continuing marginalization. According to the 2002 population census, the Batwa population in Uganda is about 6000, with the majority living in the Southwestern districts of Kabale, Kisoro, Kanungu, Bundibugyo and Rukungiri. The size of the Batwa is quite different from other tribes in Uganda, the men and women rise to an average of four feet or less in height, the tallest man among the Batwa would be the shortest among the neighboring community, the Bakiga. 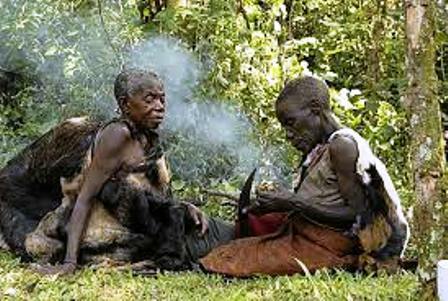 Traditionally, the Batwa lived as hunters and gatherers, residing in temporary huts and caves, deriving sustenance from forest resources like honey, wild fruits, mushrooms and vegetables. Each clan collectively owned an area of forest within which they derived food and herbal medicine for their sustenance. 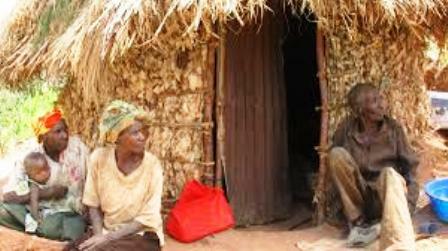 According to a study undertaken in 1996, the Batwa reside in about 53 separate settlements falling within 41 villages. On average each settlement is composed of about 10 households. The household sizes range from single to 17 member households. Despite living in different settlements, the Batwa have strong social relations and recognize themselves as a community. They share close attachments to certain areas within concomitant social formations that appear to derive directly from the ancient past. Marriages normally take place within the clans though marriage among members of an individual settlement is rare because of the close relations amongst such persons. 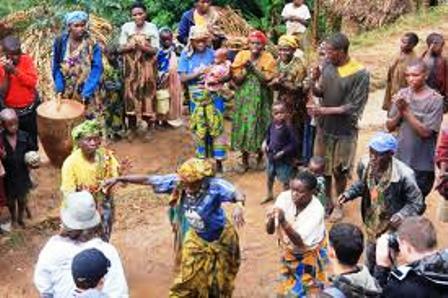 Batwa still practice social norms and customs normally associated with clanship similar to majority of other tribes in East and Central Africa. However, due to the resettlement programme most Batwa are never sure of their clan leader and where he lives.